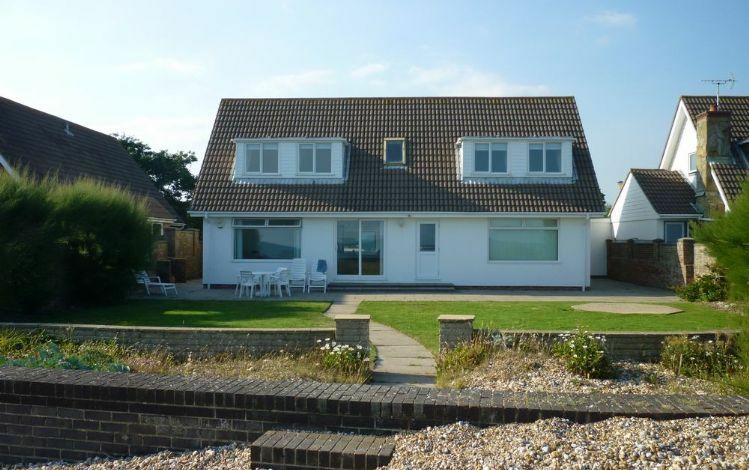 11 Shorecroft is a comfortable family house set in the most wonderful location right on Aldwick beach in West Sussex. With views across the sea from the all the main rooms, as well as a garden opening directly onto the beach itself, this is an ideal holiday home for anyone looking for a seaside break on England's stunning south coast. Inside, the house has a good size sitting and dining room with patio doors leading out to the beach front garden. The kitchen is practical and has the benefit of a dishwasher and washer/dryer. There is a ground floor triple bedroom (1 double bed, 1 single bed) with an en-suite bathroom and there is also a separate WC on the ground floor. On the first floor there are 2 further bedrooms (1 triple, 1 twin) and a family bathroom. The uninterrupted views from both these bedrooms are superb, looking out over the beach and the sea beyond. 11 Shorecorft is set on a quiet, residential beach estate set just to the west of Bognor Regis in West Sussex, one of the sunniest areas of the UK. The local shops, amenities, restaurants and bars are within easy reach and there is plenty to see and do in the area. The cathedral city of Chichester is a short drive to the north, offering a great selection of shops and restaurants, as well the famous Chichester Festival Theatre. The historic and picturesque city of Arundel is also a short drive away and is dominated by its castle, which is open to the public and offers regular events and displays. A little further afield, both Brighton and Portsmouth are accessible by either road or rail.